Well, at this time I didn't know a lot about photography, and I didn't know either that I was capturing. 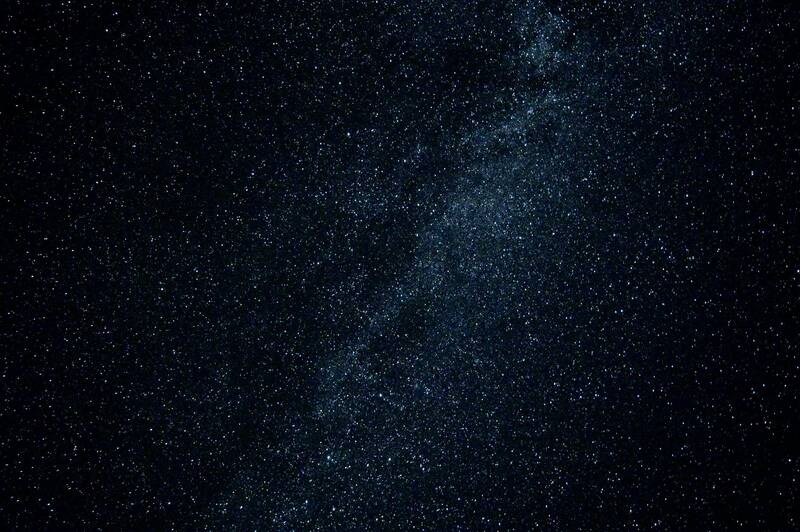 But now I'm willing to learn more about astrophotography, and I'm wondering if I captured a bit of the Milky Way. It seems that the center area is full of stars, and you can only guess these beautiful star clouds. But yeah, the picture is really bad. I think I used some auto settings. I'd like to know though what made it so bad? Is it because the aperture was not wide enough (I could have used f/3.5, which isn't awesome, but still better than f/5), so that I couldn't capture all the light? Or perhaps november isn't the right moment, which makes it barely visible? Or perhaps it's just not the Milky Way, just a bunch of happy stars? Also, do you think that an entry level camera like D60 has sufficient ISO (6400 max)? It adds so much noise, I always hesitate before using a high ISO... Perhaps ISO 6400 on a more recent camera adds less noise? Johann3s' answer is good, and covers all the basics. When it comes to the milky way, which is a form of ultra wide field night sky astrophotography, you want to use the highest ISO you can get away with, the longest exposure you can get away with, at the fastest aperture your lens supports. Here is a little bit more detail. First, ISO. 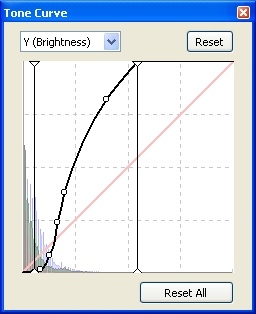 Increasing ISO does not create noise, increasing ISO simply amplifies the image signal more. Technically speaking, using a higher ISO when you have less total light actually means the camera will generate LESS read noise. If you shoot the night sky at ISO 100 and ISO 3200, you have to boost the exposure of the ISO 100 image by FIVE STOPS in post. The problem is, read noise at ISO 100 is likely going to be between 10e- and 20e-, where as at ISO 3200 it will be closer to 3e-. When you boost the ISO 100 image, it will actually look noisier, and it will be nasty pattern noise. 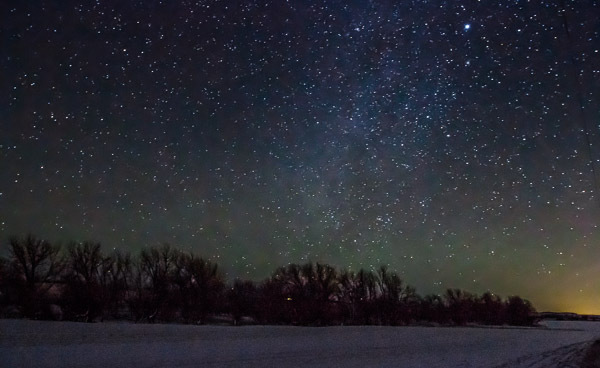 When it comes to night sky astrophotography, when you are not tracking the sky, use high ISO. ISO 1600 or above. The trick is to select an ISO setting that maximally amplifies your image signal, without clipping the highlights. It might be that for a 30 second exposure under dark skies, you might start clipping the milky way core at ISO 6400, so you would want to pull back to ISO 3200. Which shutter speed to use? When it comes to shutter speed, there is a very simple rule you can follow: The 500 rule. This used to be called the 600 rule, however as pixel sizes continue to shrink, the 500 rule is better. The rule simply states: Divide 500 by your focal length to derive the maximum number of seconds of exposure time before stars begin to trail. So, for an 18mm focal length, you have 500/18, or 27.8 seconds. I ALWAYS round down, even if the fraction is above .5, so that would get you 27 seconds. The closest actual setting is 25 seconds...so for 18mm focal length, on a D60, you really don't want to expose for longer than 25 seconds. If you had a 14mm focal length, then you could expose for 35 seconds. 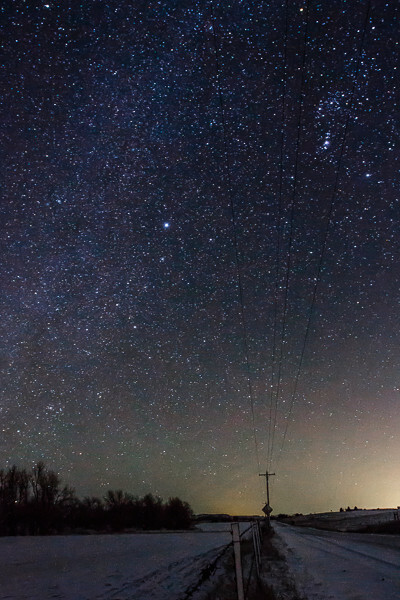 If you had 24mm focal length, then you could expose for 20 seconds before startrailing occurs. Generally speaking, use the fastest aperture your lens has. In your case, use f/3.5. Sometimes, this rule should be tweaked a bit. Ultra fast lenses with apertures faster than f/2.8 will often produce more optical aberrations, which will turn your nice pointlike stars into comas and other funky shapes. If that happens, stop down until you get nice point-like stars of uniform brightness and color. Generally speaking, you don't want to shoot at slower than f/4 if you can avoid it, and f/2-f/2.8 are usually ideal. Before I go on, regarding your current sample exposure. It is pretty dark, for sure. You were RIGHT to choose ISO 3200, for sure. I would actually recommend trying ISO 6400, however that might be a bit too much once you follow the next recommendation. Use f/3.5. You were at f/5, which means you were getting HALF as much light as you would at f/3.5. That is a very significant amount. 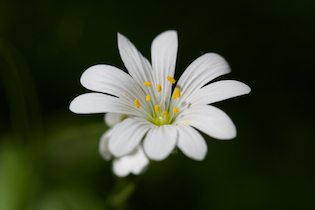 At f/3.5, your image would have twice the exposure, and that itself would help improve circumstances considerably. So, you followed all this advice, and your shot still looks a bit dark, or just doesn't look all that good. Well, there are a few things we still need to cover. Before you start worrying that you aren't using the right exposure settings, you need to understand about light pollution. Light pollution is created by city lights that reflect off particulate in the atmosphere, light cloud cover, water vapor, etc. If you live in a big city, you need to drive a LONG way to find "dark skies". If you live in a small out of the way town, then you probably have darker skies, but you could still stand to drive a ways out of town to find even better dark skies. In a city, you can't even see the milky way. The light pollution is so bright it completely drowns it out. Along the edges of a big city, you might be able to just barely glimpse the milky way, but if you try to photograph it, you'll get a largely uniform dull orange backdrop with a few stars poking through. Under dark skies, you should be able to clearly see the milky way. It wouldn't matter if it was winter (worst time for the milky way) or summer (best time for the milky way)...under appropriately dark skies, it will be very visible. The camera should pick up on it quite well, however that still isn't quite enough to get the kind of end result your looking for. The last part of the story here is post processing. Even under decently dark skies, a milky way shot is going to require processing. Even under perfectly dark skies, your milky way shots are still going to require processing, but maybe not quite as much. The key to getting a good milky way photo is to properly attenuate the original RAW image. You need to boost the tones that comprise the milky way, and slightly subdue the darkness of the sky. Looks pretty dull. ISO 3200 at 30 seconds. This was actually photographed under dark skies, and you can see the bubble of light pollution from a big city to the south in the lower right corner. Stopped the aperture down a little bit to sharpen stars. This is the winter milky way, part of the arms of our galaxy, so it is much dimmer than the summer part of the milky way which includes the core. Much better, no? This involved increasing exposure, fully recovering highlights, fully boosting shadows, boosting whites by +50, +20 clarity, and some tone curve attenuation. The green and red haze across the sky is airglow, something you can see with the naked eye under exceptionally dark skies, but which your camera can start to see under only moderately dark skies. In order to photograph the milkyway you want to capture as much light as possible within a certain timeframe. So looking at your settings, indeed the aperture could have been wider, like you already say yourself, but otherwise the settings are okay. But maybe even more important, it has to be really really dark outside. You should be able to see the milky way somewhat yourself! Finnish night sky is now dark enough to photograph stars (it is September now) so I went to try my first shots at stars. 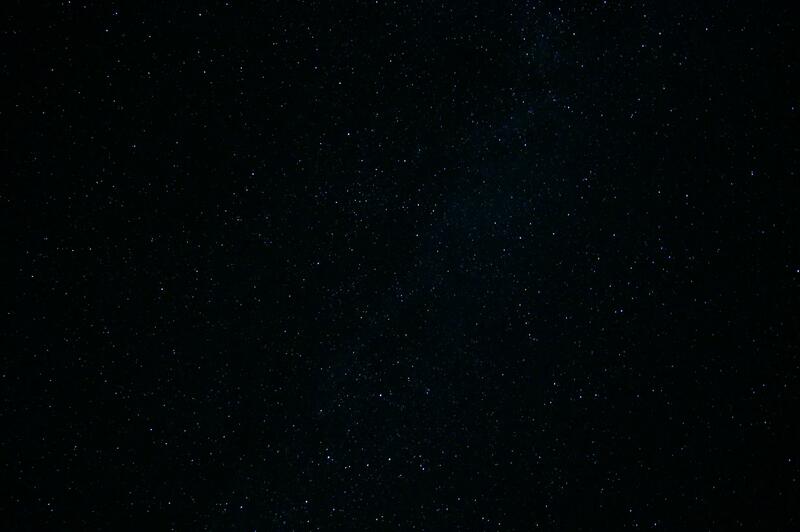 I have never tried to take a photo of stars before. My photos turned out even darker than yours, but I was more daring with my post-processing and I think I now know what is wrong with your photo. Post-processing! Naturally that is not the only problem, of course you would do good with a better lens and an equatorial tracking mount. 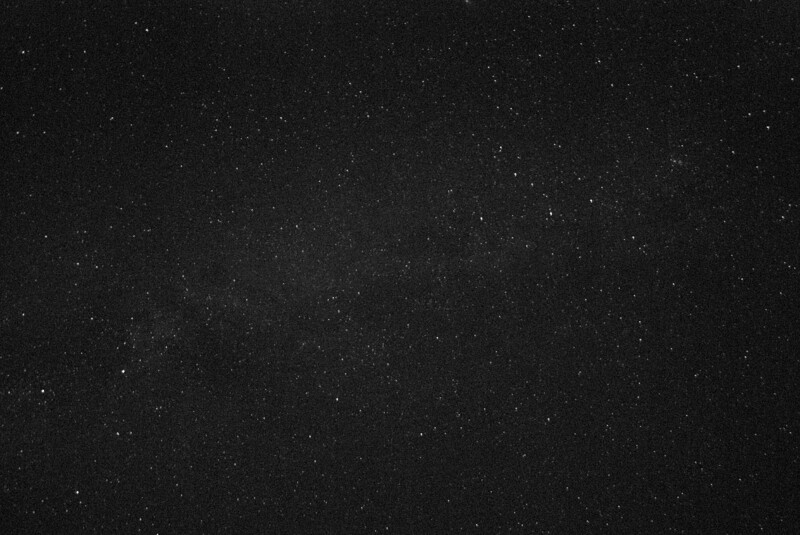 But when a shot turns out like yours, and it is shot in RAW, then you can pull a lot more stars in view. I tried something with your jpeg-image (the one that you posted with your question) and it worked well already with that, though of course a big part of it was just enhancing jpeg compression artefacts. Yes, it is the same shot in both pics. I suggest, if you still have your original RAW stored somewhere, that you give it another try in post-processing. Disclaimer: I am definitely no good in RAW processing. I only started playing with it recently, like four months ago. First of all, you see that your ISO is high. Because of this, your image is full of electrical noise, which makes your picture grainy. You said you used auto settings, and probably camera was not set to use lot of mechanisms (Long exposure noise reduction, High ISO NR) to achieve better quality. What about tripod, did you used one, or you put your camera on something else? What kind of picture format did you use (RAW, JPEG)? Did you post process your picture? Note that if you are interested in astrophotography, you should buy yourself remote shutter. This way, your exposure time can be greater that 30 seconds, and you will decrease camera vibrations. Also, this way you can decrease your ISO value, and you will see difference in picture quality definitely. Also, you should get familiar with your sky. You can download Google Android application called Sky Map, which can help you with learning. One great link about learning astrophotography you can find here. Not the answer you're looking for? Browse other questions tagged astrophotography stars milky-way or ask your own question. Longer exposure & lower ISO or shorter exposure & higher ISO - what gives better results when photographing stars? 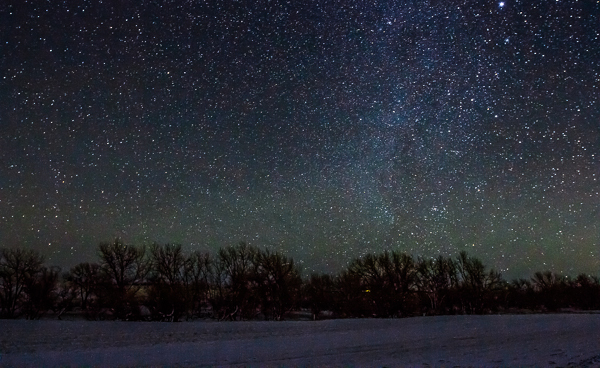 Why did this photo of the Milky Way turn out badly? What caused my astrophotography images to come out hazy? What is this random white dot in only one photo of Eagle Nebula stack?